OK, let's cut to the chase. Could you do your VCE on one of these things? Yep - hands down. Could you do well enough to get into a music course at uni? Yes - if you give the 255 a bit of help. I did my Year 12 in 1986. Back then the tone and intonation of any of the student clarinets on the market would have cost you at least a grade. No amount of practice or experience was going to overcome these instruments' limitations. Fast forward to last year when I bought a YCL-255 for an outdoor gig, not wanting to risk my Buffet RC getting sunburnt. After using it on and off for about 12 months, I can say that the 255 is more than capable of handling a lot of the VCE syllabus with ease: the repertoire by Mozart, Weber and Brahms all lie within its capabilities. The tone is clear and full across the range without being shrill, the throat intonation is stable, the projection is fine and the responsiveness is good for everything up to altissimo G. Higher than that and things start getting a little dicey, but we're talking about a student model instrument here. One nice aspect of the 255 is that it's much lighter than a wooden clarinet. This makes for an easier trip to school and also for less strain on your right thumb during those long rehearsals. So if you opt for the 255 over something more expensive, what else do you need if you're serious about music in Year 12? You should work with a specialist clarinet teacher as opposed to a sax or flute player who just does a bit of doubling. 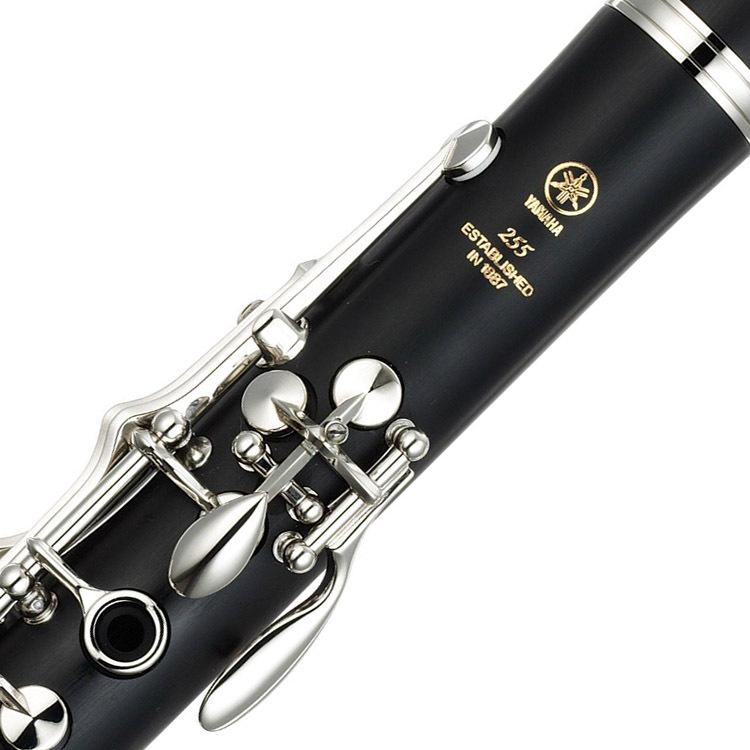 The YCL-255 has a few notes that benefit from using less obvious fingerings (mid F-sharp comes to mind), and a clarinet specialist can help here. Next, go for a professional mouthpiece. (You'd end up buying one for a new high-end clarinet anyway). My Selmer C85-120 works fine with the 255, but you should work with your teacher to play-test a few different makes and models. Finally, book in both an initial service and a checkup a month out from your last exam. Student instruments don't always handle wear and tear like the pro models, and a decent setup can help to bridge the gap between the entry-level clarinets and those further up the range. And any new instrument can require a few adjustments in the first month or so of its life.